Eagles players should be studying film, not gallivanting around town. 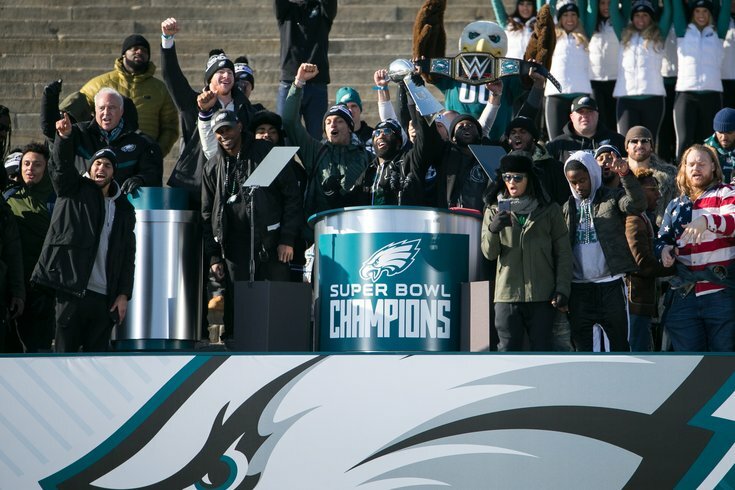 We're only one day removed from the Philadelphia Eagles' Super Bowl parade, but, well, what have you done for us lately? Can the Birds repeat as Super Bowl champions next season? The health of Carson Wentz's knee will certainly factor in, as will the Eagles' ability to navigate through this offseason while being up against the salary cap, and, well, we'll get to all of that soon. Season Team Next season Playoffs? The last time there was a repeat champion was when the Patriots beat the Eagles in the Super Bowl after the 2004 season. There have only been eight repeat champions and none that have won three straight. In other words, this isn't the NBA. On the bright side for the Eagles, 35 of 51 (69 percent) Super Bowl winners went on to make the playoffs the following year. Which is nice.